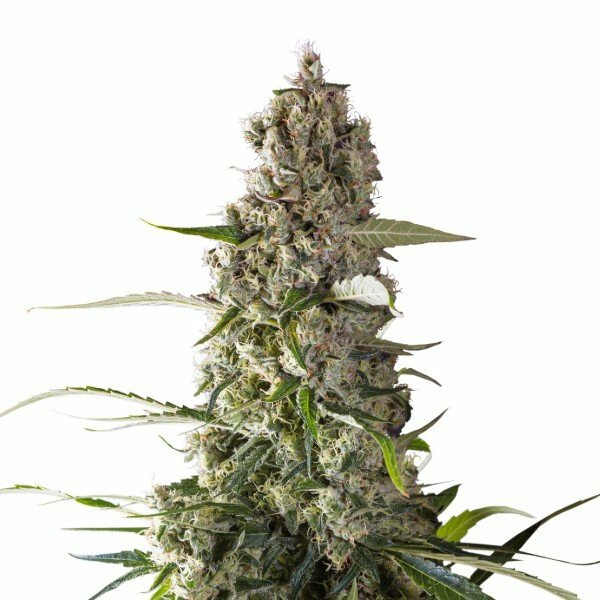 Now might be the time to consider growing outdoors, not because Prima Holandica can achieve better yields, but because her height is so immense, many growers will struggle to contain this super sativa. If you posses the skill and determination to wrangle a towering beauty, you can expect a high that will have you riding waves of euphoria long into the night. It almost feels like Prima Holandica should come with an advisory sticker: “Warning, will grow beyond your wildest expectations”. Those choosing to grow indoors would be well advised to pick a room with high ceilings so they can accommodate its rampant growth. If you are limited in your growing environment, there is a handy workaround. To curb its desire to reach for the sky, try flipping the light schedule to 12/12 earlier on in the vegetative stage. This will help to keep its height manageable, without hampering bud production. Another fascinating attribute of Prima Holandica is its potential to deliver a flavour existing on two ends of the taste spectrum. On the one hand, you may have a phenotype that rewards sickly sweet, forest fruit flavours. In a separate grow, a metallic diesel taste might take the limelight. Considering we live in a world where mysteries can be dispelled in minutes, it is refreshing to a grow a strain with an element of the unknown to it. Regardless of the final flavour, one particular characteristic remains consistent throughout—its high. Like a roller coaster, the sensation builds gradually, but stick with Prima Holandica for long enough and the twists and turns begin. It is worth being strapped in because this pure sativa takes you on a wild ride without pit stops. Start blazing in the early afternoon and it will take hold of your mind into the night. This is likely a byproduct of her Old School Haze X Secret Super Sativa genetics, but either way, it is an attribute cannabis veterans will fall in love with. If you can handle everything Prima Holandica has to offer, flowering is a mere 10–11 weeks.